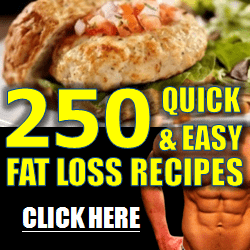 More and more weight loss methods are discovered literally every day! So what’s the newest discovery? You’ll actually find it weird, but one doctor thought the HCG hormone might actually help in losing weight when taken in the form of drops. Alright, wait for a second! I know it’s overwhelming, you may not even know what HCG drops are, but there is actually a lot to read about them. Don’t tire yourself out searching for weight loss drops reviews, I’ve collected everything you need to know about them right here. Why Do Our Bodies Produce HCG? Are Weight Loss Drops Effective for Losing Weight? How is The Diet Carried Out? HCG is the abbreviation of Human Chorionic Gonadotropin, which is a hormone present at high levels of early pregnancy. It’s used as a marker in pregnancy tests, and it’s said to help treat fertility issues for men and women. Alright, weird! That’s not what you came here to read, is it? Of course it’s not, what does pregnancy do with losing weight anyway? Well, that’s what we thought too. It turns out that HCG can actually be used as a weight loss solution. The first man to suggest this is a British doctor called Albert Simeons. However, HCG doesn’t encourage weight loss by itself, it must be accompanied by a low calories diet, as the doctor originally suggested. Turns out the doctor wasn’t really wrong because today, HCG products are everywhere and people in different countries from different backgrounds are now carrying out the unique diet. As I said, HCG is a protein-based hormone that the woman’s body produces while pregnant to let her know she’s carrying. HCG helps regulate the secretion levels of pregnancy hormones like progesterone and estrogen. All HCG reviews claim that the hormone boosts the body’s metabolism and so helps it burn more fats. A lot of marketing gurus attempted to explain HCG’s weight loss techniques using different theories. Well, not completely, a lot of studies were held to prove that bit, but it was discovered that the weight loss achieved is more acquainted with the low-calorie intake than the HCG effect. Most dieters face one problem when they lower their calorie intake. Reduced Muscle Mass! That side effect is pretty common in diets with low calories such as the HCG diet. So the question is, what makes HCG special particularly in this bit? It’s been claimed that HCG only causes the loss of body fats, not muscles, plus it boosts metabolism and promotes growth state which automatically means your muscles are conserved. But, is that really the truth? Well, to this day, there is still no scientific evidence to support it. You can work on that yourself by weight lifting and eating protein-packed foods, you can’t depend on an HCG diet for that part. The HCG diet is known to be very low in fat and calories. Loading phase: This is the first phase of the diet when you start using drops and going on a high fat and calorie diet for two days. Weight loss phase: You then start consuming only 500 calories per day for a month or a month and a half maximum, while still using your drops. Note: During this phase, you’re only allowed two meals a day, mostly lunch and dinner. Maintenance phase: That’s when the drops consumption comes to a stop and you gradually start eating normally again, while avoiding sugar and starch for three weeks. If you’re looking forward to losing A LOT of weight, then you will want to follow the diet for about six weeks, and even repeat the phases of the cycle for several times. Your meals during HCG diet should contain the following; a portion of lean protein, a piece of bread, a vegetable and a fruit. Fatty foods like butter and sugar should be avoided, and you should drink loads of water or any other low-caloric drinks during the diet. Also, coffee and tea are allowed which is a bonus. The options are many. So, I’ve added two of my top choices. You’d be shocked to find out that those ones are HCG-free! They boost your metabolism and have the same effect of other HCG drops. I must say that some people prefer drops that don’t contain HCG, so these picks would be best for them. Diet drops is best at putting belly fat to a stop! They maintain your body’s energy while boosting your metabolic rate, which is the rate which your body burns fats. The completely natural ingredients in this product allow fast weight loss results with minimal side effects. It reduces your cravings and limits your appetite and contains no chemicals, vegan, preservatives or artificial ingredients. Herbal Blueprint is famous for its good taste, it’s said that it tastes like iced tea! But that’s not the only trait that makes it special, the product is formulated by professional herbalists, it’s consisted of high-quality herbs that are alcohol-free. The herbs are also not burned while the product is being made. Herbal BluePrint is made in a GMP Compliant, FDA Registered laboratory in the USA. Not everything you read is right! Especially in weight loss related topics, there are usually a lot of opinions around one thing, and you never know which is the right one. So, I’ve made you a list of the wrong known statements about HCG drops that you shouldn’t believe when you see. If you really think about it, HCG hormone is mainly responsible for growth, it’s the body that produces it when the woman is pregnant to ensure the development of the fetus. The one property present in it that helps in weight loss is that it mobilizes the stored fats in the body. The HCG diet is just a diet plan you follow while taking the weight loss drops. So there is really no such thing as a harmful HCG diet! Dangerous diets are those extremely low with calories or those depending on harmful weight loss supplements. So be assured, even if HCG diet doesn’t give you the required results, it won’t harm you. Yes, some people say the weight loss that accompanies HCG diet is just because of the lowered calorie intake, while the hormone itself is useless. But that’s not completely true. People who tried HCG claim that the lower food intake didn’t affect their energy, which means they didn’t suffer from weakness or fatigue which are common side effects of less food. That’s actually because of the HCG drops which -as I mentioned before- turns the fats stored in the body into energy, which in order helps you lose weight quicker and in a more healthy way. That’s the weirdest one yet! Some fitness experts claim that when you stop HCG after weight loss, you gain the weight again. Which means it’s only effective as long as you’re taking it. But that actually depends on whether you follow the diet correctly or not. It’s simple, if you want long term results, you must do as the diet says. As much as we hoped that this would be true. HCG does in fact have some side effects. Some users complained of irritability, depression, edema and some boys and men suffered swelling of the breasts. Another side effect is blood clots forming. Some of those are extremely rare to happen though. Well, injections are not for you if you are needle phobic, obviously. But with that aside, HCG drops are in fact not very different from HCG injections. The only thing that moves the balance towards the drops is that you can take them yourself without medical administration. While you need someone to give you the injection. Also, some injections are more expensive than the drops, saying they are more effective when they are in fact not. Well, that’s hard to answer just by looking at the question. There are a lot of variables regarding that. For example, everyone’s bodies are different, so the weight you will lose with the diet will not be the same as another person even if it’s exactly the same diet. The average amount of weight loss by HCG users has been reported to be around 20-30 lbs per month though. And keep in mind that men lose weight faster than women. No, in fact, it’s not. And it’s logic when you think about it. The FDA can’t approve HCG for weight loss unless it acts on its own as a weight loss supplement. But with HCG, you need to follow a diet in order for it to make an effect. So that should not alarm you. Well, that’s not a question! You should go to your doctor before you start ANY diet or any weight loss plan. That’s for your own health. Because side effects vary from one body to another. So you never know if your body is gonna like it or not. There are a lot of opinions about weight loss drops. It works with some people and it doesn’t work with others. It’s not always about looking for the best pick, sometimes it’s about whether your body will accept it or not. You can try it and see for yourself, or you can rather give other weight loss solutions a try, I assure you, there are a lot of them! Drop your thoughts in the comments section below and share your experience if you’ve tried any drops before. The 15 Best Weight Loss Drinks You MUST Try! Laxatives for Weight Loss - Are They Worth the Risks? Get your Red Tea Detox package plus 4 free bonuses for the cheapest price!